Arron's loyal friendship towards my father was evident during the last two weeks of my fathers's end of life. He would be at his bedside every morning, until a family member arrived. When my father's memory started to decline at the time of the changeover from Federal to Provincial care and they had to move their rooms, he became very confused and Arron helped him thru this transition. He would remind him of meal time to make sure he wouldn't miss a meal. He accompanied him to all social activities and even helped him win the Big Jackpot Bingo's. Being as meticulous as he was, he managed the finances of their Loto partnership for many years. I always looked forward to our conversations about everything and anything, be it history, religion, politics and all other subjects. I will truly miss him and keep him forever in my memory. I remember Aaron well. He was the double first cousin to my mother Anne and was close with her brothers Hymie and Shimmy with whom he grew up and served in the RCAF. He was a link to the Baum family, to my grandmother Ety and his mother and Ety’s closest friend Ida, and my grandfather Zelig and his brother and Aaron’s father Lieb. Another, and almost the last link to that past. May his memory be a blessing. Peacefully, on Tuesday, April 2, 2019, in his ninety-ninth year. 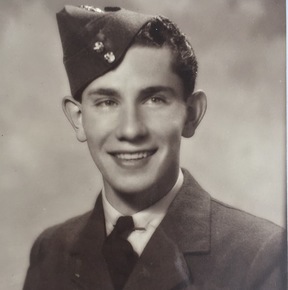 Proudly served in the Royal Canadian Air Force during World War II. Beloved husband of the late Edie Anau. Dear father of Laurence Baum and Karen Archibald. Cherished grandfather of Jamie, Daniel and Liam Baum; Sophie and Lucy Archibald. Devoted son of the late Leon and the late Ida Baum. Beloved brother of Saul Baum, and predeceased by his other siblings, Hyman, Harry, Lillian, Ella, Ethel, Shirley, Toby and Bluma. Arron will be truly missed by his nieces, nephews, family and friends. The family wishes to express their gratitude to the staff of the Ste. Anne’s Veteran Hospital for their exceptional care and devotion. Funeral service from Paperman & Sons, 3888 Jean Talon St. W., on Friday, April 5 at 10:00 a.m. A private burial at Field of Honour Cemetery to follow. Donations in his memory may be made to the Ste. Anne’s Hospital Foundation, (514) 457-3440 ext. : 8484.